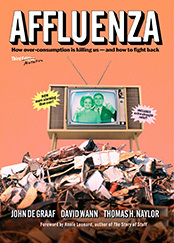 Based on two highly acclaimed PBS documentaries watched by 10 million viewers, Affluenza uses the whimsical metaphor of a disease to tackle a very serious subject: the damage done—to our health, our families, our communities, and our environment—by the obsessive quest for material gain. In cleverly titled chapters such as “Swollen Expectations” and “A Rash of Bankruptcies,” the authors examine the origins, evolution, and symptoms of the affluenza epidemic. But they also explore cures and suggest strategies for rebuilding families and communities and for restoring and respecting the earth. Business and political leaders are ignoring the one force that could truly re-energize the stalled American economy: the poor.